Here is the notification OC Public Works mailed to 40 homes along Live Oak Canyon. OC Public Works will be removing nine (9) diseased trees as identified by an arborist, following the falling of a diseased tree in that area. According to the County, the work is being done for public safety and also to prevent the disease from spreading and impacting other trees/vegetation. The Saddleback Canyons Conservancy is in favor of the County replacing the trees according to the FTSP tree management provisions. It appears a proposal has been made to allow the OC planning director at his or her discretion to permit cellphone towers of any size and height to be built in or within 500 feet of residential areas in unincorporated areas and county road right-of-ways if the applicant shows that a lower or smaller size would not be technically feasible. This could be done without an environmental review of such projects. Grade, stabilize, widen, and pave the existing shoulders. Overlay the pavement with a high friction surface. Install guardrails and rumble strips. We oppose item 6. As we understand it from the County, shoulder paving would essentially widen the roadway surface over 40-60% of the entire length of Live Oak Canyon and Trabuco Canyon Roads. Apart from the potential negative impacts on natural resources and aesthetics, we strongly believe that this “improvement” would actually worsen the situation. We believe that paving the shoulders would, in fact, encourage drivers to speed because the paved shoulders (combined with the enhanced traction from the anti-skid pavement) would provide more leeway for driver errors. Paving the shoulders would also likely have the unintended consequence of inducing aggressive drivers to pass illegally. These canyon roads frequently attract young drivers with fast cars. We need to provide disincentives to speed on these scenic canyon roads, not to make a Formula One track here. Enforcement is the answer. If you have any questions, please call Edward Frondoso at 714-245-4587. 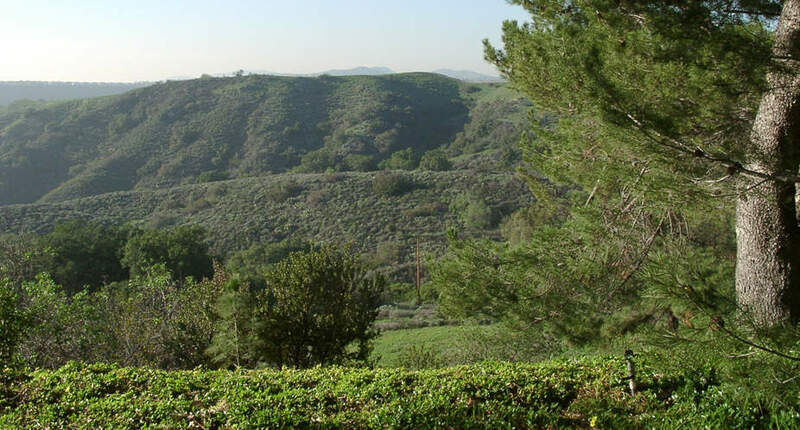 Live Oak Canyon and Trabuco Canyon Roads are important features of the Foothill-Trabuco Specific Plan area and both are designated County Scenic Highways. The community is extremely protective of these roads and zealous about any changes, big or small. Our choices for safety enhancements must be rational, necessary, and must comply with the imperatives of the FTSP to protect their Scenic Roadway status and the oak tree canopy between Hamilton Trail and the entrance to O’Neill Park. We urge the County to eliminate the shoulder-paving element from its preliminary plans. Pave a bike path through O’Neill Park. We acknowledge that neither of these canyon roads is likely to ever have a dedicated bike lane, which would be ideal. However, a new bike path along the existing trails in O’Neill Park to connect the existing Aliso Creek Bike Trail along El Toro Road with the existing Trabuco Creek Bike Trail on the Plano Trabuco, essentially paralleling Live Oak Canyon Road through the park to the Monastery road and then diverging to existing trails, would provide an alternative to cyclists not wishing to share a lane with motor vehicles. We would support naming this bikeway after the 3rd District Supervisor who facilitates its creation. Bury the cabling. More than 100 utility poles line either side of these roadways, just from the entrance of O’Neill Park to Cook’s Corner. Removing these poles would naturally enhance safety. We will be looking into possibilities for underground cabling with the utility companies.